I think hair is meant to be played with. I mean, maybe in that way too. But I’m talking about styling, coloring, cutting, etc. Ask my hair stylist for the last ~8 years, I almost never get the same hair cut twice. We were always switching up the color, the cut, the details. And I loved it. But I didn’t love the cost. Getting my hair done by a professional left me spending over $200 when it was time to cut & color. It was 100% worth it, but also not the most financially responsible decision when my income started getting lower and lower thanks to my chronic pain. Not to mention, my multicolored hair was fried from years of bleach and party colors. Too much partying, hair. So I made the decision — both financially & largely out of curiosity — to shave my head. But I didn’t have a meltdown. Not even a little one. I am so grateful that I shaved my hair off. I would honestly recommend that every woman try it at some point in her life. Not only is this super cost effective, which I’ll dig into in a second, it’s also liberating. There is strength that you gain in not having hair to hide behind. You’re forced into seeing yourself. Hashtag valuable life lesson. Plus, the time it saves me when getting ready is unheard of. Which brings me to the financial savings of shaving your head. 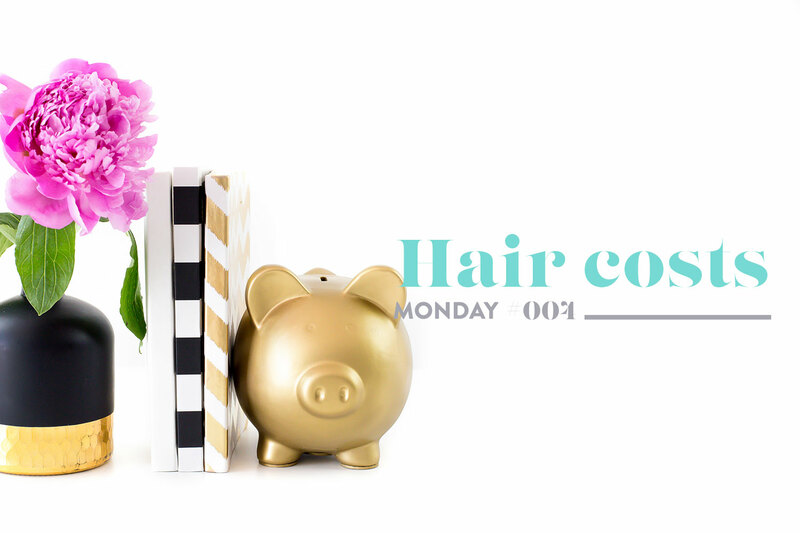 Even with switching things up, my hair care costs never dropped below $1,300 a year. Now, before we go adding that $1,300 to my debt payoff plan, know that shaving your head doesn’t mean you’re not spending a dime on your hair anymore. While my shampoo costs have plummeted, my makeup costs have not. In shaving my head, I started seeing the value in sporting some lip gloss and mascara. To keep my costs low, I browsed the Target aisle for a few purposeful selections. Yet I still managed to spend almost $20 on cheap makeup for the fall/winter season. With my more frequent haircuts, accessory purchases and added eyebrow grooming, my estimate is that I’ll save $750 a year by keeping my hair buzzed. That would cover almost half of my remaining technology debt! My goal will be to not blow the extra $750 on magnificent hats and fabulous earrings. At least not for the first year. Kidding! Or am I? If you’re not ready to shave your head just yet, I get it. You could try going back to your natural color for a season, going shorter & donating the inches chopped off to a great cause (to save on hair products), or space out your visits by an extra week. Say you head to the salon every 6 weeks, changing that to 7 will save you 2 visits a year. If you’re spending $120 a visit, that could be $240 to pay off your debt! And I doubt you’ll notice the difference of adding 1 week to your timeline.